Welcome to Full Plate Thursday now in our 5th year! 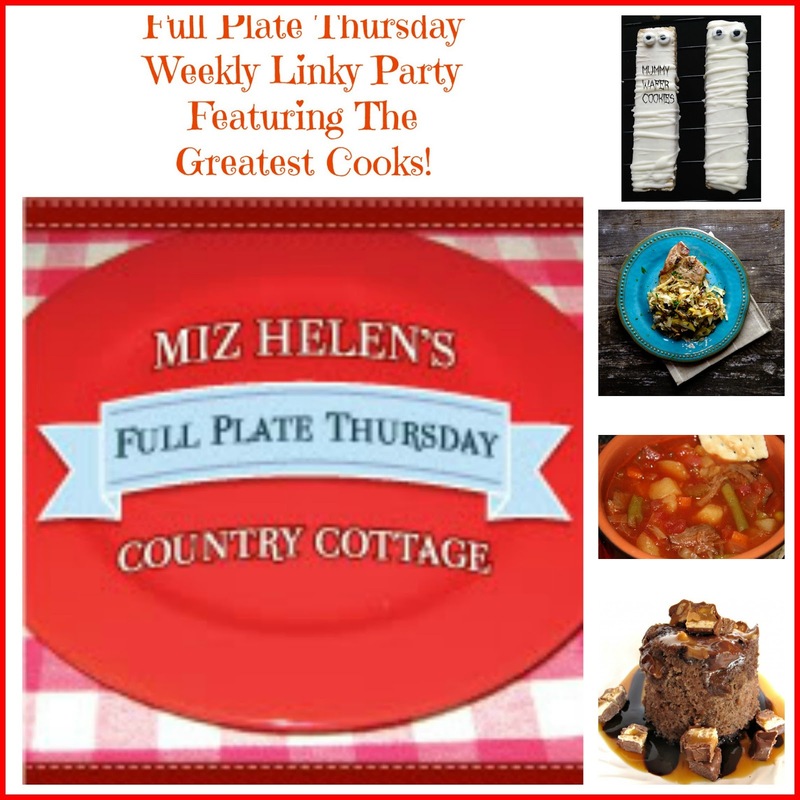 We gather here on Thursday to enjoy a wonderful recipe linky exchange with the greatest cooks on the planet and we are so glad that you joined us today! I just returned from a fantastic fall retreat with some amazing women and the food was delicious. Our retreat was in the country at a wonderful retreat facility where we enjoyed relaxation and fellowship with close friends. I always love a time of renewal. Thanks so much for coming today and bringing your fabulous recipes! I'm so glad that you had a wonderful time at the retreat, Miz Helen! It's always a blessing to have fellowship with women. Thanks so much for hosting and have a great week. Welcome back! I hope that you have a wonderful weekend! Thank you for hosting another wonderful party! Please enjoy a wonderful week! Thank you so much for featuring our Fall Fruit Kabobs and for hosting such an enjoyable link up! We hope your week is wonderful! for featuring my Mummy Wafer Cookies! Congratulations on 5 years of parties! What an incredible accomplishment. And, just back from a wonderful retreat, I'm feeling a little jealous. I love getting away with my Sisters. Thanks so much for the party Miz Helen, It has been a very long time for me, but I am so happy to be back and linking up with you! Thanks for another wonderful party Miz Helen. Congrats on that milestone. Always happy to be a part of your fun here. Your retreat sounds wonderful, and congrats on the 5 year mark, wow that's amazing! Thank you for always being such a gracious hostess Miz Helen! Thanks for hosting and thank you so much for featuring my pork chops! 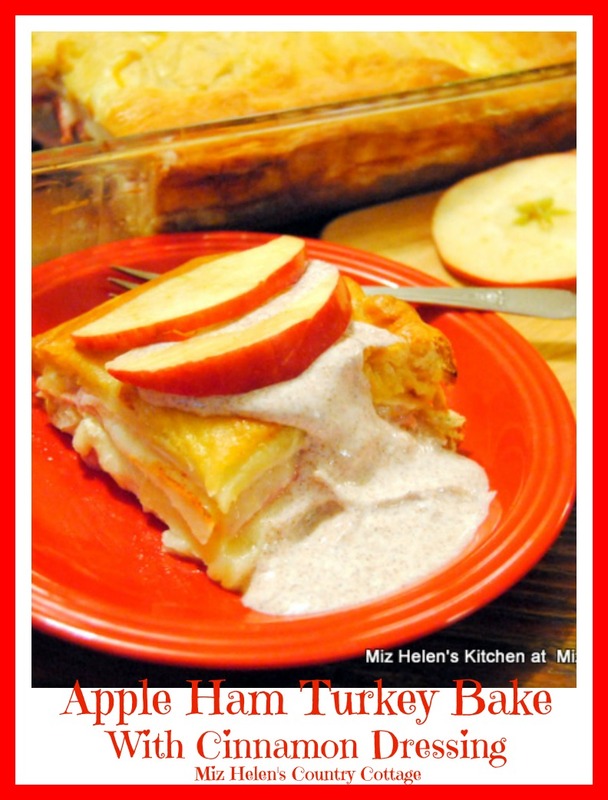 Miz Helen, I'm not posting a link today because my blog post this week is one of my rare non-recipe posts. It's a travel review post. Thank you for hosting. I'm going to enjoy looking at some links here on my next break. What tasty sounding features! Thanks for hosting! Wow, 5 years is quite the accomplishment, congrats! I love visiting your party each week, and checking out all of the delicious recipes. Here's to 5 more years Miz Helen! Good Afternoon Miz Helen, Congratulations on your 5 year anniversary. My word, you must have seen so many wonderful recipes pass through your doors. I have pinned your Apple/Ham/Turkey Bake to make in the future, as it looks fabulous.... and I love the ingredients in the Yoghurt/Chicken/Apple and Peacan salad... it looks so enticing. Thank you so much, Miz Helen, for featuring my 3-2-1 Candy Bar Cake! I hope it made a quick and tasty dessert! :) Five years is a LOT of hard blogging work! Congratulations. You have created a warm and friendly gathering spot.